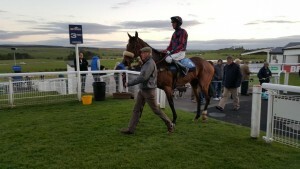 With only 3 days of the NH season left for amateur jockeys and Friday night’s traditional finale hosted by Stratford Racecourse eagerly anticipated, both of our champions are in unassailable positions with their pole positions safe. Many congratulations to Harry Bannister on retaining his title for a second year and many congratulations to Bridget Andrews on winning her first ladies title (following in the footsteps of her elder sister Gina) before turning conditional just a few weeks ago. Bridget is already making a great success of her professional career and we wish her all the luck for the future. The reserve champion for the men is another conditional already, Ciaran Gethings, who rode his biggest winner of his career at Haydock recently with his first professional ride. The lady’s reserve champion is not so safely secured with Brodie Hampson currently holding that position but the champion’s sister Gina is breathing down her neck with only one less winner and looks forward to some interesting rides on Friday night. 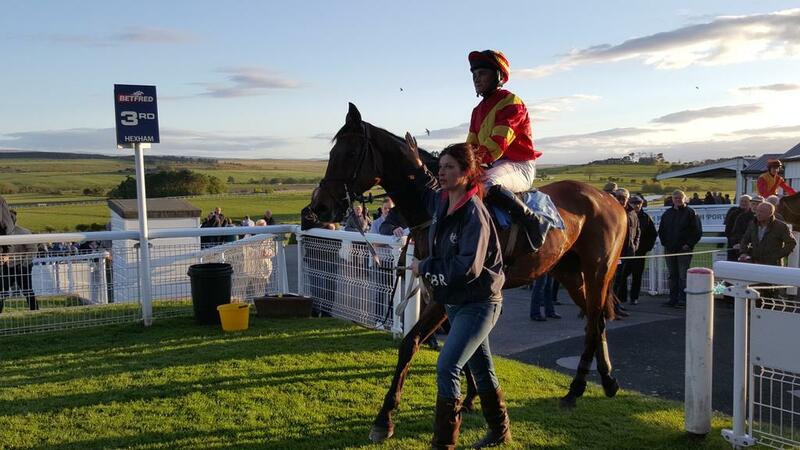 With no less than 4 of the 7 races this evening being won by amateur jockeys at Hexham, well done to Joey Richards on SCARLET FIRE, Tom Hamilton on NATIVE OPTIMIST, Tommy Dowson on GIN COBBLER and Zac Baker on PEKANHEIM for their victorious rides! 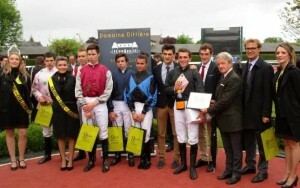 All jockeys with agents to discuss horse footwear! The BHA is currently working with Weatherbys to develop the Declaration process to include a section requiring the Trainer to confirm when declaring to run whether the horse will be fully shod, without hind shoes or unshod. This may take until the end of 2015 before reaching completion. All jockeys’ agents are being asked to take instruction from their jockeys as to whether they will accept bookings on their behalf if a horse will wear only front shoes or will be unshod in the race in which they are due to run. 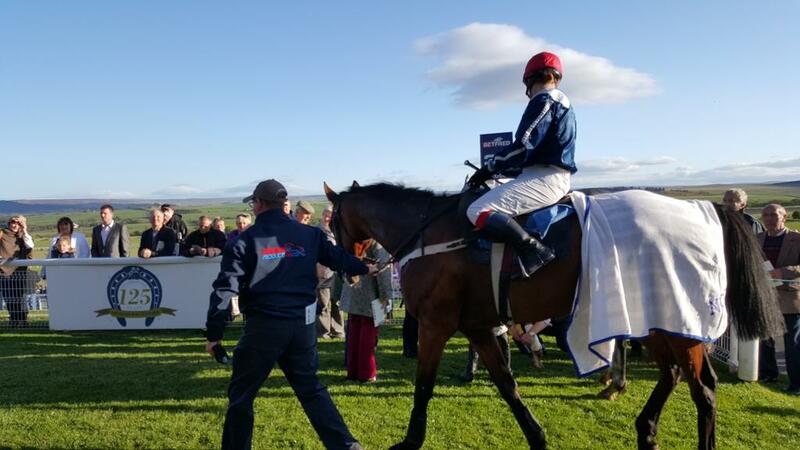 In the unlikely event of a dispute, should the jockey refuse to ride because they consider they had been provided with inaccurate information by the trainer at the time of being booked, an enquiry will be held by the Stewards to establish the facts. To assist the BHA in considering the matter, it is likely that the Stipendiary Stewards will contact you to confirm what information was provided to you by the trainer. The BHA therefore strongly advise that you keep a record of the details provided to you by trainers. Ladies dead heat in Wetherby hurdle! Well done Becky Smith and Emma Todd who somewhat unusually shared the winning slot today at Wetherby in the Yorkshire Post Lady Riders’ Handicap Hurdle. Mineral Hero (Becky Smith) was giving his rival nearly 2 stone and had to dig really deep on the run-in to achieve a dead heat with Lilly’s Legend (Emma Todd) in a thrilling finish. Well done ladies! Freddy’s on fire! 3 winners in a week! Following a double in Les Landes, Jersey, last weekend, Freddy Tett travelled over to France to ride in the amateur cross country at the scenic Le Lion d’Angers on Thursday to continue his winning ways! This is where the feature uphill loop into the forest is taken in both directions during the same race! Leading from pillar to post he stormed home, taking the obstacles including the formidable steps in his stride. Congratulations to Freddy who has now moved on to Paris where he rides in the amateur chase, the Maréchal Foch, tomorrow at Auteuil and we wish him the best of British luck in continuing to kick home the winners! 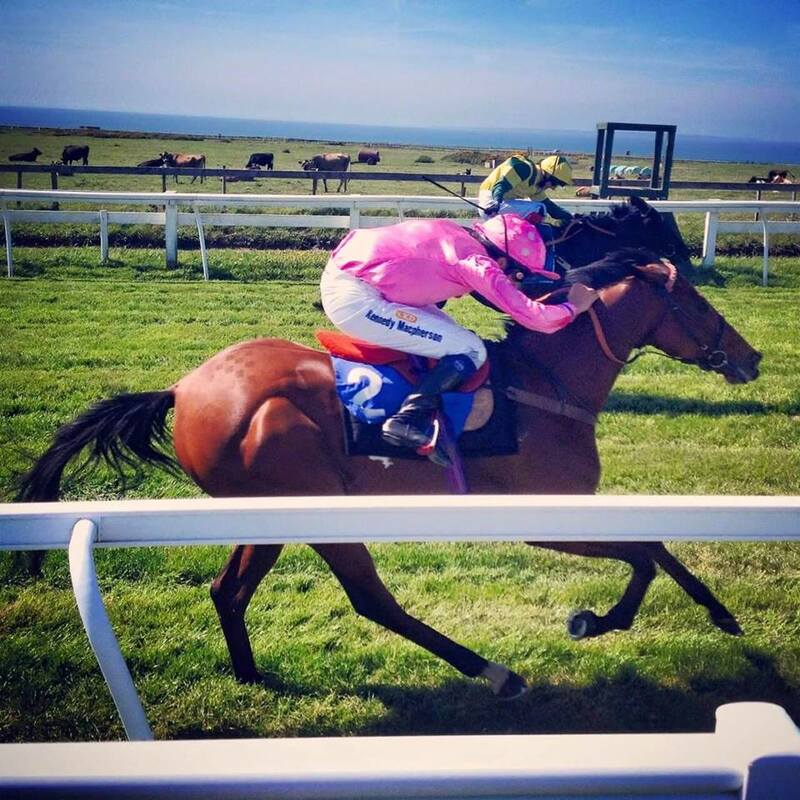 For any amateur jockey who has never visited the Channel Isles, an ideal opportunity now exists within our racing calendar! Sunday 12th July is Champion Hurdle Day at Les Landes and includes the AJA’s inaugural running of a 1m 2f flat handicap for 3 year olds and up rated 0-65. The race will be the 5th race on the card at 5:10 pm. We need trainer support for this race with limited horses available on the island so please persuade your trainer to enter and spread the word! Les Landes is a popular racecourse with many English jockeys including amateur Freddy Tett who rode 6 winners there last summer and has already enjoyed a double there last weekend. Serena Brotherton also travelled over with City Ground last summer to provide Mick Easterby with his first-ever winner in Jersey. For further details which include a travel allowance please contact Charlotte Francis at The Jersey Race Club tel: 01534 864136 or mob: 07829 863484. 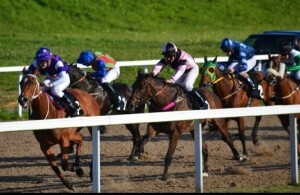 Congratulations to Georgina Friswell who enjoyed her first career win when booting home POWER UP in the mytotepool.com amateur riders’ handicap at Southwell this evening. 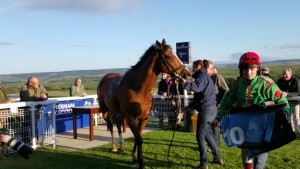 Having only her 3rd start for trainer Jane Chapel-Hyam, the mare saw it out well holding off the challenge of multi-champion amateur Simon Walker and WELD ARAB to win by 2 lengths. 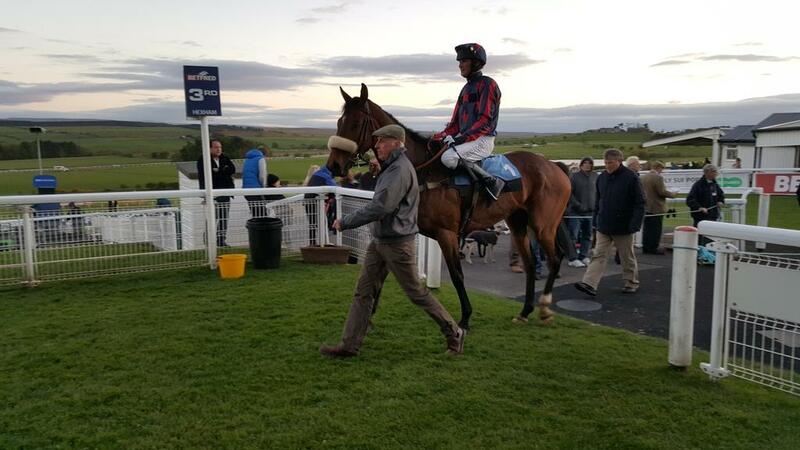 The winning rider said “Power Up had a break at my mum’s over the winter and it has done her the power of good. I can’t believe I have ridden my first winner!” Well done Georgina!